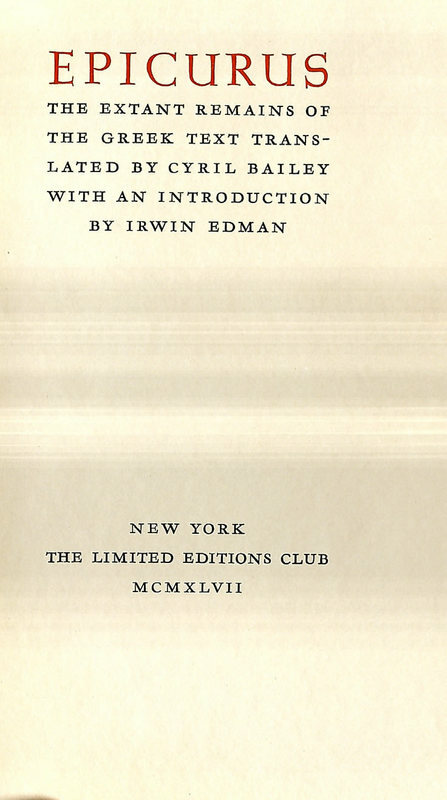 Epicurus; The Extant Remains of the Greek Text, Translated by Cyril Bailey; with an Introduction by Irwin Edman. Bruce Rogers (1870-1957), a book designer, was born in Indiana, where his father encouraged him to study art. One of his first jobs was as an illustrator for a newspaper, an opportunity that allowed him to stretch his artistic license. Subsequent career opportunities led him to design his own typefaces and ultimately books for publication. He is best known for marrying elements of historical book production to the period and character of the text. Rogers designed the 37-volume Shakespeare series produced by the Limited Editions Club. Printed in an edition of 1500 copies, Lehigh has copy no. 775. 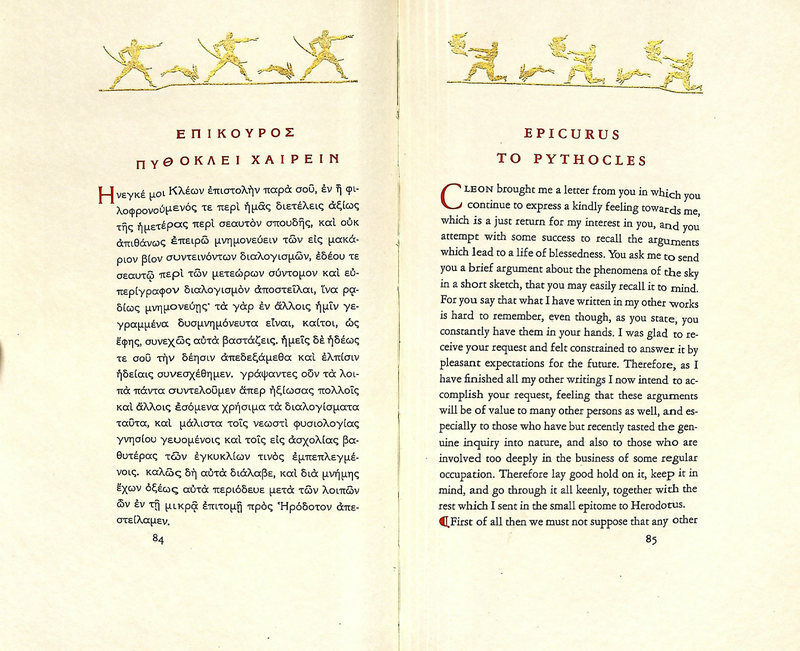 The book was designed to present the original Greek text and the translation of the same page next to each other.